Zines. Art. Real life salons. A new philosophy of the moment. as we get talking more. With members, friends, colleagues... and you. Together. 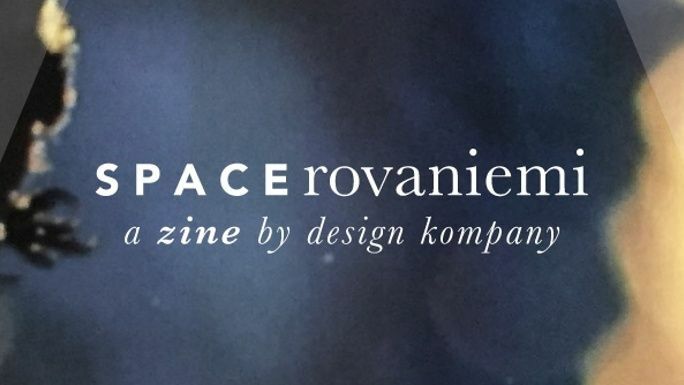 In S P A C E.
‘Zines*’ remind us that at the end of the day, we get to create and write our own stories. The stories of our lives—the stories that remind us who we really are. DK are making these kinds of zines. DK's international, roving, 2-year zinemaking popup workshop-on-the-go. 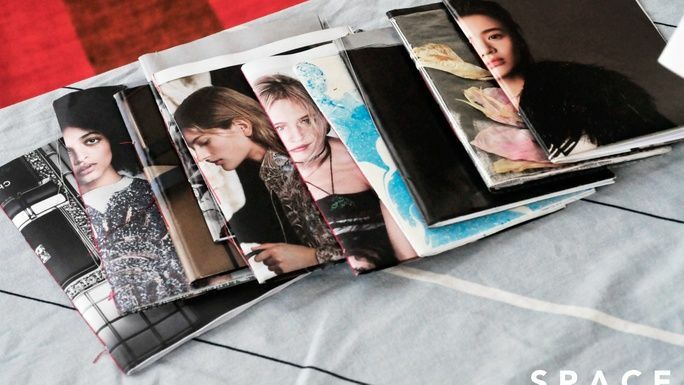 *What are zines? Photocopied short publications we make ourselves and give our friends or our community. Such personal pieces give us a tangible grip on the here and now. Next in S P A C E for Nov, Dec, and January. Expect to see a set of digital and print publications. Weekly eZines and twice-monthly PDF anthologies. At the end of the season, a printed collection for sharing in a very limited edition by postal mail with some of our sponsors, too. All of these will be made fresh, in ateliers with people DK will invite, discover, and co-create with. Now what? Something new. S P A C E. A zen master once said, if we become too serious, we will lose our way. Let's converse, then, shall we? Let's play. 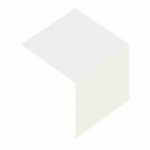 S P A C E, a co-created journal of new philosophy, poetry, and physics, is our way. The beginnings of how we began this journey are outlined in our 2012 'Year of Dialogue' project. Trust the process. The theme from six years in design in Seattle stayed with us through the journeys that followed. 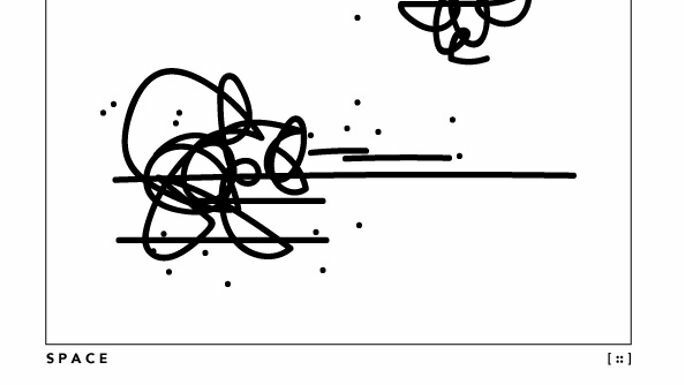 Movement, flow, context: within these, we still wanted to explore, discover, and connect with new and different others. And then, to interconnect us. Our work in S P A C E is to create an architecture for dialogue, the kind with a 'center' and not 'sides.' For perspective-making. For insights, and unexpected fresh angles on old ideas. What's 'out there', apart from what we know? We report from the field, in S P A C E. A set of: art books, podcasts, a literary journal, and weekly zines. NEAR PAST. 'Cojournaling' was a concept to get us writing with other people, every week, around the world in very small circles. Started doing this in 2014. 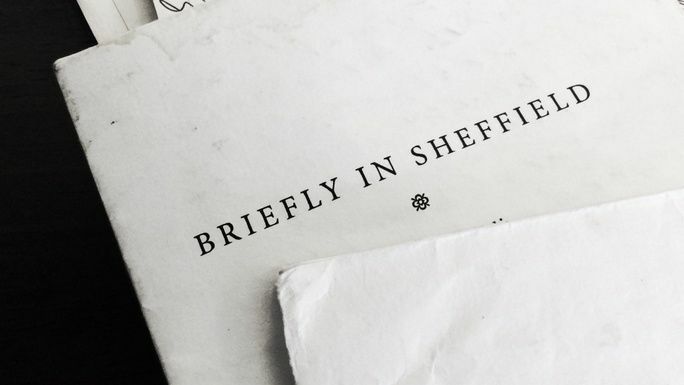 A year of writing, and we found people really getting quite deep, and intimate, and sharing. In the very simple format of email circles. What happened next? A very human thing: warmth. Trust. Friendship, learning, growth. Connexion. We wrote an anthology together: The Mirror. That was a good first step. A prototype of things to come: S P A C E, the new zines, and the short collections SUMMER 2018, AUTUMN 2018.. PRESENT. Four years later, DK are on the road, with S P A C E. Looking in communities by just showing up and asking around, and discovering, on the spot, exactly the kinds of curious people who would say 'yes' to an invitation to meet, converse, and make something together, like a zine. Here's what S P A C E just did in summer 2018 in Finland. And autumn 2018 in Malaysia. At the time of this writing, we are hosting Atelier S P A C E from 26-28 October in Phnom Penh. NEAR FUTURE. To get started for our WINTER 2018-9 projects, we are at work to raise $11.5K. That'll cover the expenses of: publication design and production of S P A C E the weekly eZine, the literary journal in print, the podcast, and the real life ateliers that we host to find people who find S P A C E. Not to mention paying our artistic collaborators--all of whom we've built relationships with through the last 4 years. Join S P A C E and you'll be a part of it. Every contribution of $28 or more comes with a 4-week subscription to S P A C E, the weekly eZine. 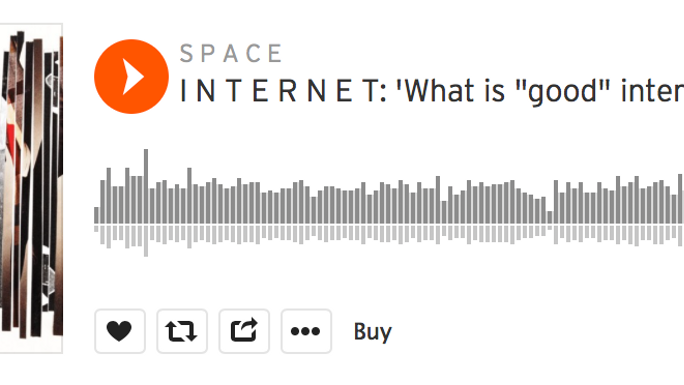 S P A C E is an eZine, podcast, and twice-monthly series of experimental literary nonfiction. We need $11.5K to: discover, design, and publish W I N T E R, a set co-created in situ, on the road. Learn how others see the world, where they are, today. To make these truly compelling, DK's work is to find and invite new, emerging, international voices to publish with us in this digital set. Expect 2 every month through Winter, sent as PDFs to your inbox. 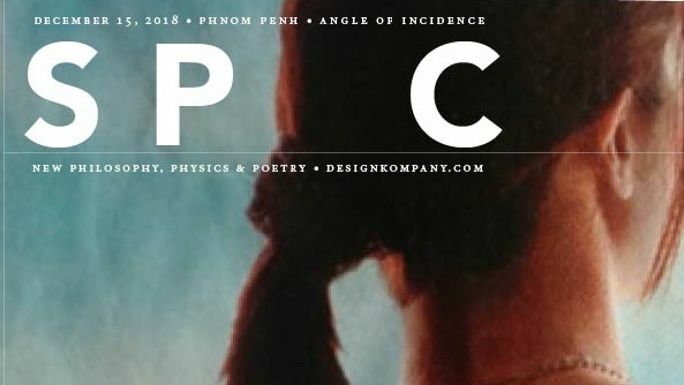 Make a monthly contribution of $28, and you'll get S P A C E | Phnom Penh, 'Angle of Incidence,' plus future collected stories, too. If you've ever felt 'where is home?' is a tough question to answer for a multitude of reasons, then this book is for you. 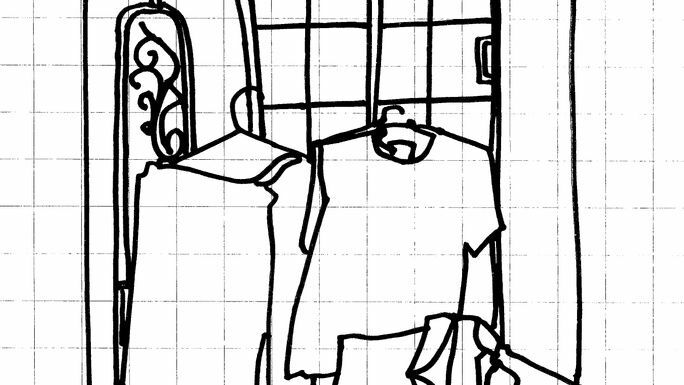 'Breakfast in Cambodia' is a 99-page eBook with line drawings, first-person narrations from Phnom Penh and Malmoe. It's an honest sharing, called 'a work of philosophy,' that sits with what it feels like to be on the move, looking for 'home,' while also beginning to recognize that 'home' is not a 'place,' but a feeling. This book reflects on the shape of that emotion, exploring its architecture, and delving into why. Get the above (eZine, Creative Nonfiction twice-monthly PDFs). Plus, monthly contributors will also get an assortment of our latest zines (like the ones pictured here) in by postal mail. We'll send a set every 6 months. Make your own space through our one-to-one 'Slow Moment' conversation, in which you'll get prompts each week through our S P A C E sequence designed just for those who want to carve out more 'high-quality me-time.' Tried and tested in online spaces over the summer 2018, these notes will surely invite you to take a good look at for you, what makes up 'kairos,' as opposed to 'chronos' time. 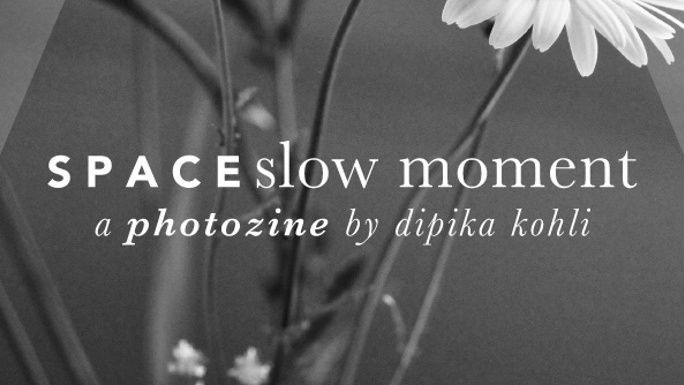 You'll get the photozine, 'Slow Moment,' too. Make a donation of $125 to pre-order one of our very limited-edition issues of the 24-page 'best of' highlights to come. W I N T E R will be a curated set of stories, interviews, drawings, photographs, new poetry, and other new work made together with our collaborators, between November's start and through the end of 31 January. Just 16 copies. Your name in the 'Acknoweldgements,' if you like. To be sent to you by postal mail. Get all of the above plus a personalized monthly report from Dipika Kohli on the progress of the projects. Letters from the road. And mentions in the acknowledgments of the S P A C E | Winter 2018-9 collection.